It can be understandably difficult for many dentists to reduce their reliance on tried-and-true techniques in order to embrace something new. However, the increasing digitization of diagnostic and treatment technology is not something to be wary of. In fact, digital techniques are fast becoming the standard in practices across the U.S. and abroad. The 3M™ True Definition Scanner is one of the standouts among a crowded field of advances in our field. Digital impressions created by this small, affordable, handheld scanner have enhanced patient care and communication, streamlined workflow, and greatly improved productivity in practices both large and small. What makes 3M™ True Definition Scanning technology different from other digital impression systems is that it is now available at a comparably low cost – ultimately serving as an investment for your practice that can provide growing dividends for years to come. The 3M™ digital scanning wand is small, ergonomic, and exceptionally light. This allows for enhanced maneuverability for the practitioner and a more comfortable experience for the patient. It is also designed without fragile moving parts, so there will never be a need for calibration. It fits in the hand like a handpiece or a dental mirror. As you glide the wand along oral structures, the images are scanned and relayed onto the 3-D touchscreen monitor, ultimately creating and visualizing the digital impression while you are watching the process unfold. This video technology enables you to capture and simultaneously view an incredibly detailed replica of your patient’s oral anatomy. For quadrant dentistry and full arch dentistry, you need a model that provides the clearest, most precise view possible. “3D-in-motion” video gives you real-time results and sets the view where you move the wand. Capture the image and look on the screen – it’s that simple. With 3M™ True Definition Scanning technology, you are able to view and assess each case on the spot, reducing the potential for inaccuracies and mistakes. Once the oral scans have created a digital model, the need for a traditional model is eliminated. Your lab will be working from an exact replica of your patient’s oral anatomy, reducing the time and labor typically necessary when working from a traditional model. If you use in-office milling technology, the digital impression can be seamlessly integrated with its data system. Via an open and secure communications platform supported by the cloud, you can store, connect, and share your individual case data in an easy and productive way. The 3M™ Connection Center offers a variety of data plans that give you choices among what may be best for your own practice’s needs. 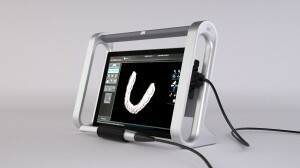 The Center includes open STL file capabilities, and it enables you to share and connect with dental labs, in-office milling technologies, and other systems integrated within your practice.